Are you ready for the thrill of a lifetime? 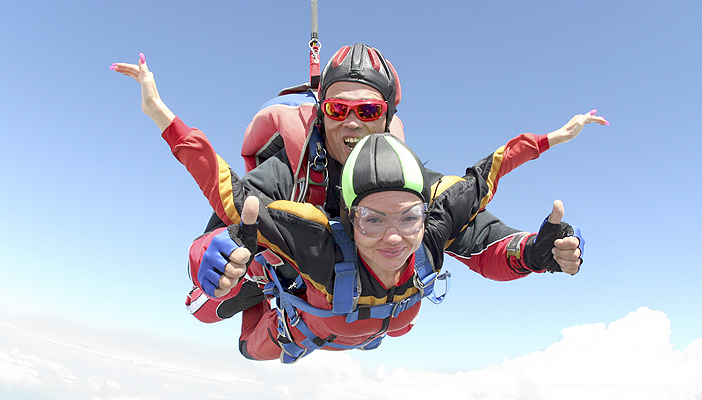 Take on a charity skydive for RNIB for an unforgettable experience. 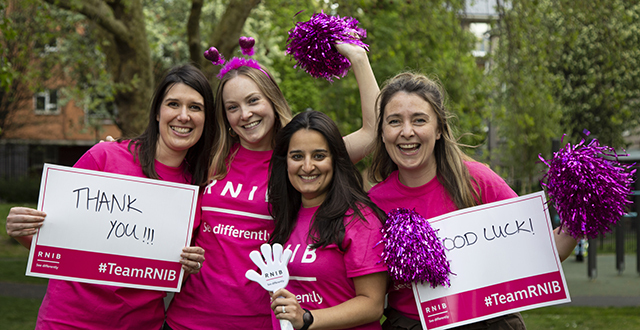 Join RNIB for our Big Jump in 2019! You’ll be part of a massive team of RNIB skydivers taking to the skies over the same weekend and making the leap to support people with sight loss. We will be jumping ‘en masse’ on September 21st and 22nd across the UK to mark the start of National Eye Health Week 2019 and to raise vital funds and awareness for people with sight loss. Choose from 12 airfields across the UK and take the plunge! Skydiving is the sensory experience of a lifetime. The magnificent aerial views of Earth, the unique sensation of freefalling through the sky as the wind rushes past your ears, and the overwhelming emotion as your parachute releases and you glide back to solid ground. We want everyone to join us for this challenge. Whether you're blind, partially sighted, or sighted we want all our RNIB skydivers to support each other and face their fears together. Everyone will jump with a trained instructor which means no one will go it alone. But we won’t stop until every last psychological and physical barrier has gone for good – from classrooms to workplaces, from local shops to far-flung holidays. By jumping with Team RNIB, together we can smash through the barriers that stop people with sight loss thriving. Sign up and pay your registration fee to our event partners, Skyline Parachuting. 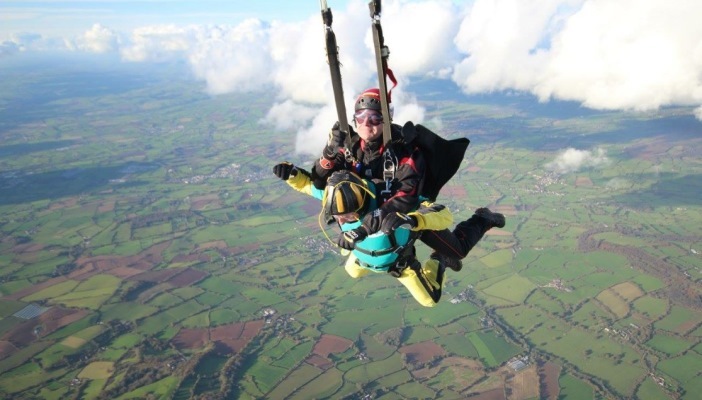 Send 80% of your sponsorship (£380) directly to RNIB at least 2 weeks before your skydive and the remaining 20% (£95) 6 weeks after your jump. 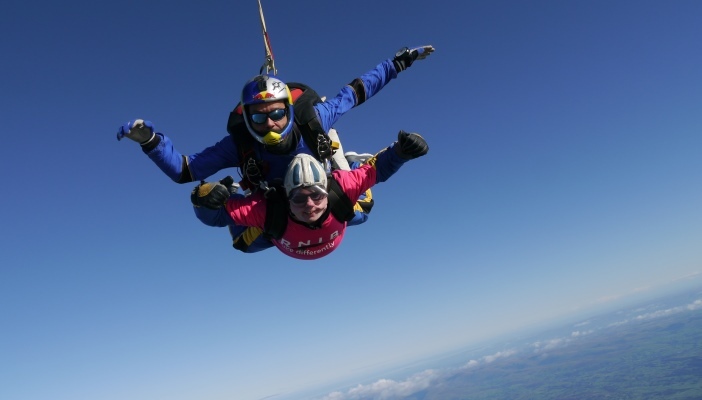 We’ll pay for your skydive costs out of your sponsorship money, with the remainder supporting people with sight loss. Check out our event brochure from 2018 to find out what’s in store. Read our FAQ to find out more about what a skydive involves, how to sign up, the support we can offer you, insurance and much more. Don't worry if you can't join us for our Big Jump on 23 September. You can jump all year round on a date that suits you. If you have any questions or would like more information, our events team would love to hear from you. Complete this short form and we’ll be in touch.